This spring, while most of us are preparing to submit paperwork for tax season, we can also leverage the opportunity to make sure our benefits are in order too. You’ve taken the time to itemize your expenses for your taxes, now take a look to see whether you’re spending enough on things which can be covered by existing employee benefits from your place of work. For example, is your growing family making enough trips to health care professionals that it would warrant taking advantage of future tax breaks through a workplace healthcare spending account? Perhaps your employer offers company discounts or reimbursement programs that you can use for discounts at the gym or even vacations? Cross reference your spending with the benefits and perks that your employer provides and you could be pleasantly surprised by future savings. Now is a good time to have an important conversation about what to do with your assets if you or your partner is gone. This is where a voluntary benefit such as a group legal plan is beneficial—it doesn’t cost you anything additional to sit with an attorney and create a plan so that your wishes are met. This is especially necessary if you have young children, own a home, or have monetary assets that need to be dispersed if something untimely were to happen. Speaking of monetary assets, ensure the right people are listed as the recipients of your benefits. This includes retirement savings plans, life insurance policies, as well as updated information with the Social Security Administration. Updated contact information across all your accounts is crucial. Nothing would feel worse than leaving a safety net for your loved ones that could not be accessed because of incorrect information or technicalities. 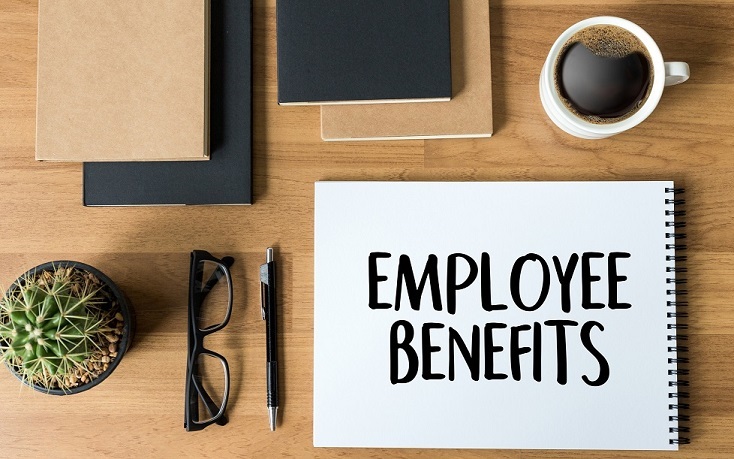 With the exception of a few workplace benefits such as health insurance, there are a number of benefits you can adjust based on a re-evaluation of your needs. Are you paying too much for car insurance? Or, perhaps you’ve done some major renovations to your home and your existing coverage is not enough to fully cover you in the event of a disaster? Think about the policies and coverage you have control over outside of annual enrollment and then consider if it’s time to adjust them based on your current situation. In some rare cases, partners could be paying for double coverage of benefits or one partner could be entitled to a better voluntary coverage from their employer than the other. Consider consolidating and ensure your family is making the most of the different benefit options available to them. Knocking these off your to-do list this season will put you ahead of the game in terms of financial security and peace of mind – with tips this easy, there’s no reason not to get around to doing them.